The Syrian government, backed by Russia, has intensified unlawful attacks on civilians in Idlib using internationally banned cluster munitions and unguided barrel bombs in a prelude to a widely anticipated military offensive, human rights NGO Amnesty International stated. At least 13 attacks were reported to have taken place between 7 and 10 September in the southern part of Idlib governorate. The bombardments, which targeted the villages of al-Tah, Jerjanaz, al-Habeet, Hass, Abadeen as well as the outskirts of Khan Sheikhoun, killed 14 civilians and injured 35 more. “The Syrian government has routinely used banned cluster munitions and barrel bombs across Syria to inflict terrible harm and suffering on civilians. Now, they have started duplicating these horrific tactics in Idlib and we don’t have any reason to believe that they will stop,” said Diana Semaan, Amnesty International’s Syria researcher. The attacks reportedly began on the same day as Russia, Iran and Turkey wrapped up a summit on Syria in the Iranian capital Tehran. Eleven residents in Idlib told Amnesty International that Syrian government forces had dropped barrel bombs and launched rockets dispersing cluster munitions on populated areas, damaging schools and homes over several days. Amnesty International’s weapons expert reviewed images provided by the residents that showed the remnants of cluster munitions following an attack on 10 September in al-Tah and Jerjanaz. The images clearly show scrap from Russian-made 220mm 9M27K rockets that contained 9N235 cluster munitions. Other photos from al-Tah showed individual unexploded 9N235 cluster munitions which pose a significant hazard to civilians, particularly children, who may be maimed or killed by these weapons long after their initial deployment. Two rescue workers told Amnesty International that around 10 of their colleagues came under attack while extinguishing a fire caused by an air strike on 8 September. The attack, allegedly carried out by Russia, had struck a potato factory located on a major highway, around 1.5km north of the city of Khan Sheikhoun. One of the workers said he was inside the factory extinguishing the fire when he heard a surveillance plane overhead. “I rushed outside to warn the team because the surveillance war plane had left. I didn’t even finish my sentence, ‘Guys, there is a surveillance warplane’, when I heard an explosion in the sky and then the bombs rained on us,” the rescue worker said. Several witnesses interviewed by Amnesty International reported that Syrian government forces launched several Russian-made large 9M27K rockets, each carrying 30 cluster munitions, on three villages, including Jerjanaz, al-Tah and Hish, between 8:00am and 8:30am on 10 September. 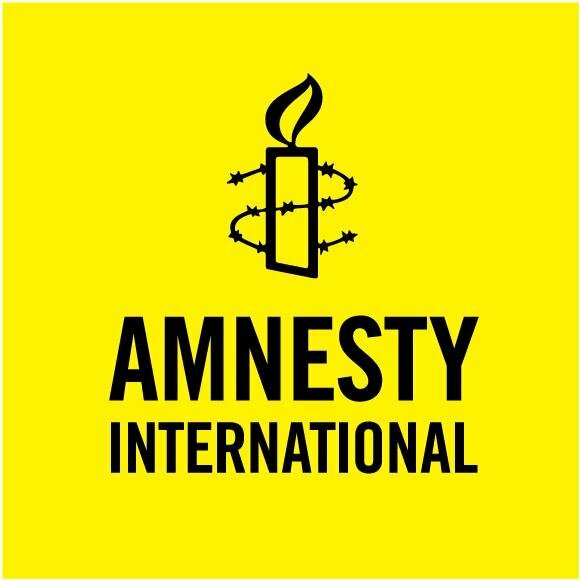 Three people living in Jarjanaz told Amnesty International that on 10 September, residential areas were subjected to at least four rocket attacks, which damaged homes and two schools, injuring eleven civilians. One resident, whose house was around 900 metres away from the neighbourhoods that were targeted, described hearing several different kinds of explosions. “I went first to the schools that were impacted in the attack. I saw two girls injured by shrapnel. I was told later that they are in the 7th grade. They were outside when the attack happened but the rest of the students were inside,” the resident told Amnesty International. Three people from Habeet village told Amnesty International that Syrian government forces dropped several barrel bombs from helicopters on 10 September. These unguided bombs, each containing at least a hundred pounds of explosives, are notoriously inaccurate and have destroyed civilian homes across Syria. Amnesty International is calling for the international community to use its influence to immediately end unlawful attacks and prevent more appalling civilian losses. 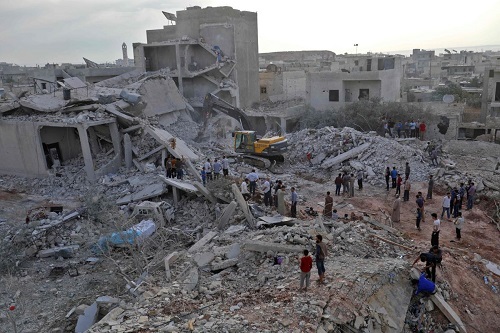 “The Syrian government has repeatedly shown a cruel disregard for civilian lives. Russia and Iran must ensure that the Syrian authorities put a stop to these war crimes and protect civilians in Idlib. Turkey also has a responsibility to ensure that armed groups comply with international humanitarian law,” said Diana Semaan. Amnesty International is also calling on Turkey to open its borders to civilians wishing to flee the attacks on Idlib; and on the international community to assist Turkey with receiving any refugees. At least 2.5 million people live in Idlib, including 700,000 people internally displaced from other parts of Syria. More than half of the population in Idlib have already been displaced, sometimes multiple times. Up to 300,000 internally displaced people (IDPs) have reached Idlib since August 2017. According to UN humanitarian agencies, more than 2 million people in Idlib are in dire need of food, water and health care. Many of the displaced are living in overcrowded camps set up near the border with Turkey with no proper infrastructure or access to clean water and electricity. Job opportunities are scarce so the majority of people living in Idlib rely on humanitarian aid for survival. The leaders of Turkey and Russia are due to meet in Sochi on Monday for hastily arranged talks over the fate of Idlib, their second meeting in ten days.